This Avemco Health Insurance Company Review evaluates Frederick, Maryland-headquartered Avemco Insurance Company. HCC Insurance Holdings, Inc. of Houston, Texas owns Avemco. Avemco sells property & casualty insurance coverage to individuals and business customers. It and its sister companies also sell specialized medical “stop loss” policies to airline, energy, and marine businesses. If you are looking for health insurance quotes, our research shows that Avemco Insurance is not a health insurance specialist. Request health insurance quotes from interested insurance companies by providing your zip code now! Contact Avemco Insurance Company’s underwriting group at 1-888-241-7891 from Monday through Friday, from 9:00 a.m. to 6:00 p.m. Eastern Standard Time. Aircraft owners or aviation companies may request an insurance quote via the company website or call the company to request information about specialty insurance lines. According to the company website, Avemco writes owned aircraft insurance or borrowers and renters insurance for pilots borrowing aircraft. Certified Flight Instructors (CFIs) may purchase CFI Owned Insurance policies for part-time aircraft instructors. For CFIs providing instruction to students in aircraft they do not own, Avemco writes CFI Non-Owned Insurance. Instructors and pilots belonging to flight clubs may purchase Flying Club Insurance. Pilots may also insure the hangars in which they protect aircraft with Hangar Insurance. Finally, the company writes term life insurance especially for pilots and aircraft companies. Avemco Insurance has made a business of providing niche markets with hard-to-find insurance coverage. For example, Avemco and its sister companies insure vintage, collectible military aircraft and specialty aircraft for private and commercial use. The companies also offer ransom and kidnap coverage, pro athletes, and product recalls. Avemco Insurance may offer a certain kind of insurance that helps self-insured employers protect against some high-risk scenarios. For example, a company in the aviation industry may choose to pay out claims of its employees according to agreed-upon terms. The company holds back a certain amount of income to protect against future anticipated payments. This strategy can save the company a great deal of money. Traditional insurance plans—for property & casualty or health and medical insurance—can cost the company annual premiums. Annual premiums may rise over the years. If the company invests the money reserved for employee claims, and few employees make claims against the company’s self-insurance plan, the company accomplishes its goals. Unfortunately, one significant claim under the terms of the plan could upset the entire self-insurance strategy. That is why companies in some high-risk industries, like the aviation or oil & gas sectors, might want to purchase “stop loss” insurance. A self-insured company knows that it bears risk for only a certain level of insurance claims. If that level is reached, the company has some back up support from a stop loss insurance policy. Avemco Insurance and HCC Insurance Holdings, Inc. The company was originally founded in Bethesda, Maryland as Aviation Employees Insurance Company and wrote its first aircraft policy in 1961. The company’s name changed to Avemco Insurance Company in 1963. 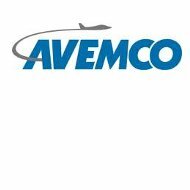 In 1982, Avemco moved to Frederick Municipal Airport in Frederick, Maryland. The company’s shares were listed on the NYSE in 1983. In 1997, HCC Insurance Holdings, Inc. bought the company. Ultimate parent HCC Insurance Holdings, Inc. purchased eight smaller insurance businesses from 2007 to 2009. Prior to 2008, the company offered commercial auto insurance lines in the United Kingdom. The company determined it was not making money on the business lines and exited that year. HCC Insurance Holdings, Inc. operates in the United States, United Kingdom, Spain, and Ireland. According to A.M. Best, the company is rated “A+” (Excellent) for financial stability. Avemco has maintained this A+ rating every year since 1977. HCC Insurance Holdings, Inc. reported $2.3 billion in 2010 sales and had a negative 3.02% year-to-year sales growth (2010 vs. 2009). The company reported net income of about $345.1 million and had a negative one-year net income growth of about 2.48%. The company has a market value of about $3.51 billion and total financial assets of about $9 billion. The company competes most directly with ACE Limited, XL Group plc, and The Travelers Companies. Avemco Insurance competes with AIG, Chubb Inc., Lloyd’s, Symetra, and Berkshire Hathaway in some local markets. Everyone wants to pay less for the health insurance coverage they need. You have come to the right place to request health insurance quotes from top insurers. Request competitive health insurance quotes to compare your current health insurance rates by providing your zip code now!